Josef has a strong track record in leading cross-functional teams in transformation programs in the chemical and process industries. 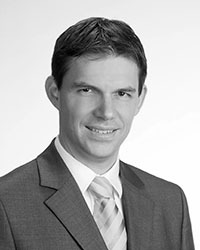 His over 15 years of international experience cover the boardrooms of large DAX companies as well as medium-sized family enterprises with focus on innovation and admin processes. He worked several years at the Boston Consulting Group, where he was member of the operations and innovation practices. Subsequently, as a senior manager at Bayer, he gathered extensive experience in the internal functioning of a global corporation. He holds degree in Chemical Engineering from the Universities of Erlangen and Melbourne and a PhD in Innovation Management. Contact Josef via email or phone and follow him on LinkedIn.